legal counsel to the OAN and is a member of the Jordan Ramis PC Dirt Law® team, representing the nursery industry and other agri-businesses as outside general counsel and on water rights, real estate, and land use matters. He can be reached at 503-598-5583 or steve.shropshire@jordanramis.com. Oregon nurseries are facing pressing labor shortages. Several have turned to mechanization, but the industry still needs human hands. In recent years, those hands have not been adequately available. Many nurseries are considering the H-2A temporary agricultural worker visa program as a potential solution. H-2A is a federal guest worker program allowing agricultural businesses to hire foreign workers. The H-2A program traces its origins to the 1953 Immigration and Nationality Act. The program allows United States agricultural employers to bring foreign nationals to the country to fill seasonal and temporary agricultural jobs that the employers are not able to fill with U.S. workers. The duration of an H-2A visa is limited to one year, with the possibility of extending it to a maximum of three years. The program is administered through the U.S. Department of Labor and the Department of Homeland Security’s U.S. Citizenship and Immigration Services (USCIS). In addition, the Oregon Bureau of Labor and Industries and the Oregon Occupational Safety and Health Division participate in oversight of the program at the state level. • First, there must be a shortage of sufficient workers who are able, willing and qualified, and who are available at the time and place needed to perform the labor services. • Second, the needed labor must be agricultural in nature. Agricultural labor or services include activities such as planting, raising, cultivating, and harvesting of any agricultural or horticultural commodity. • Third, the work must be full-time, which means at least 35 hours per week. • Fourth, the need for the work must be seasonal or temporary in nature. • Lastly, employment of foreign workers may not adversely affect the wages and working conditions of U.S. workers performing similar work. Employers wishing to use H-2A must go through a rigorous application process. This process is time-consuming and unpredictable. Under the best-case scenario, employers need to start the process no fewer than 60 days before workers are needed. To begin, employers must obtain state and federal certifications demonstrating that the work qualifies for the H-2A program and that U.S. workers are not available. Next, employers must file an I-129 petition with USCIS. 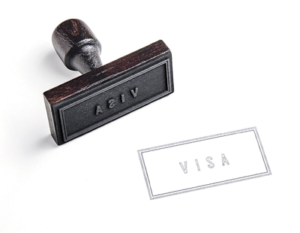 If the petition is approved, foreign workers from eligible countries must apply for an H-2A visa. Agricultural businesses have successfully used H-2A, but success under the program requires customized advice and training. Wages. In Oregon, the hourly rate paid to H-2A workers must be equal to, or better than, the Adverse Effect Wage Rate (AEWR). For 2018, the U.S. Department of Labor set the AEWR in Oregon and in Washington at $14.12 per hour. Oregon agricultural businesses face a number of H-2A-related challenges. Housing availability is foremost. Oregon’s land use laws restrict residential construction on property zoned for exclusive farm use (EFU), making it difficult to provide on-site housing for H-2A workers. The high, mandated base wage is also an issue. Oregon has the second highest AEWR wage rate in the nation, making it difficult to compete with out-of-state nurseries. Agricultural businesses have successfully used H-2A, but success under the program requires customized advice and training. Nurseries that adequately prepare may find the program to be a viable solution to their labor shortage problem. 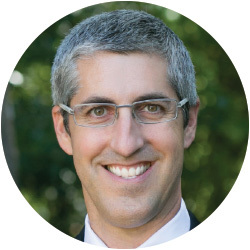 Steve Shropshire serves as legal counsel to the Oregon Association of Nurseries and is a member of the Jordan Ramis PC Dirt Law® team, representing the nursery industry and other agri-businesses as outside general counsel and on water rights, real estate and land use matters. He can be reached at 503-598-5583 or steve.shropshire@jordanramis.com.